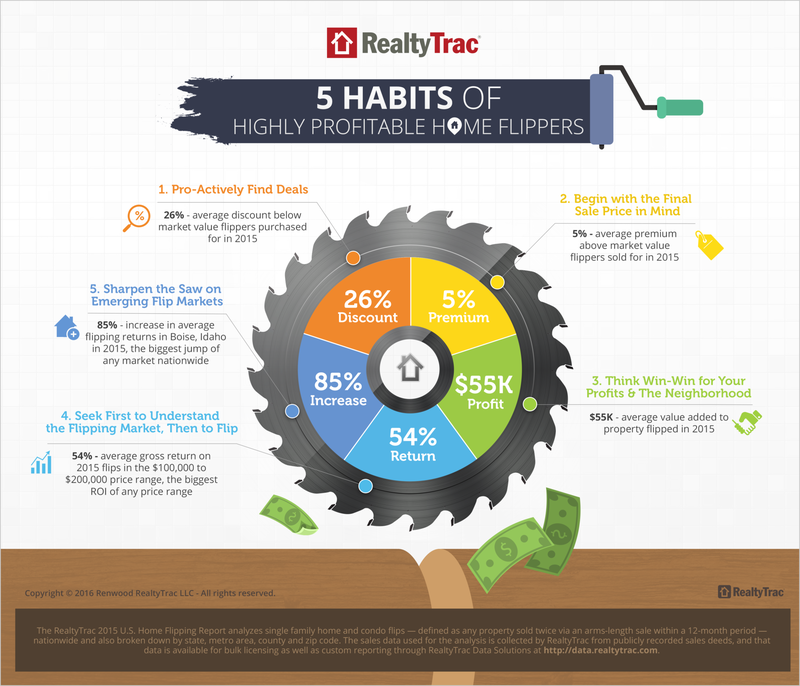 Today RealtyTrac released its Year-End and Q4 2015 U.S. Home Flipping Report, which found that numbers are on the rise after four consecutive years of declining numbers of home flippers. 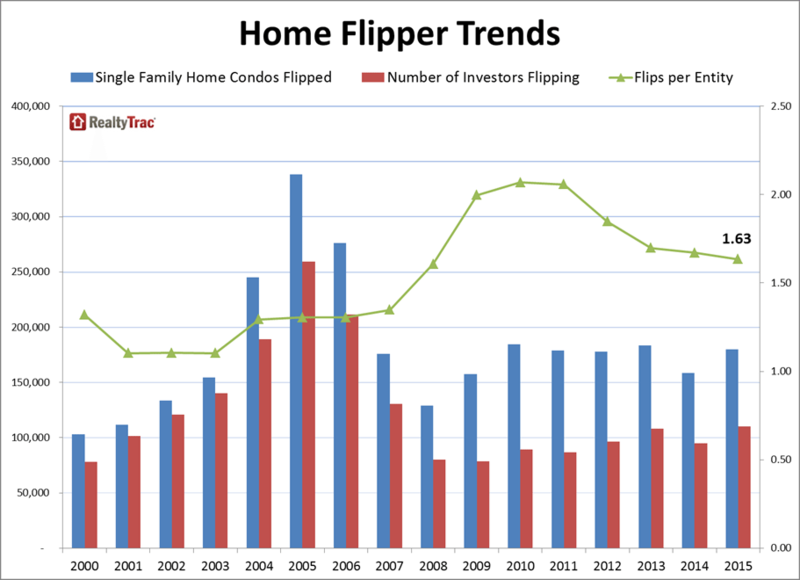 “As confidence in the housing recovery spreads, more real estate investors and would-be real estate investors are hopping on the home flipping bandwagon,” said Daren Blomquist, senior vice president at RealtyTrac, in a statement. According to the report, in the Chicago-Naperville-Elgin MSA, the 2015 flipping gross profit was reported at $76,500 with an ROI of 78.9 percent.